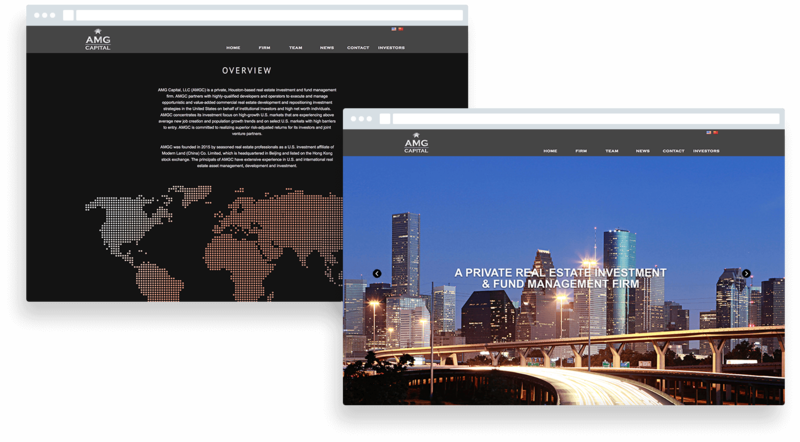 As a real estate investment and fund management firm, AMG capital needed an impressive online presence to position their company as a leader in the industry for both local and international clients. When they contacted us for web design, they completely lacked an online presence, so we had to act quickly. The one-week deadline did not mean that we were not going to do our "homework". AMG Capital had a certain reputation and worked with certain clients, so we had to make sure that this reflected in the web design. To do this, we assessed their investor’s portfolios and overall attitude towards money management. We found what we were looking for - AMG Capital was a company with extensive experience, a hands on approach and in-depth knowledge in their industry, and their clients were bold, yet smart investors who took quick decisions and expected the best service throughout. All that was left to do was to mirror this clear brand positioning in AMG Capital's online presence. To match that brand voice, we created a very distinct web design using big, bold imagery and implementing key factors for excellent user experience. 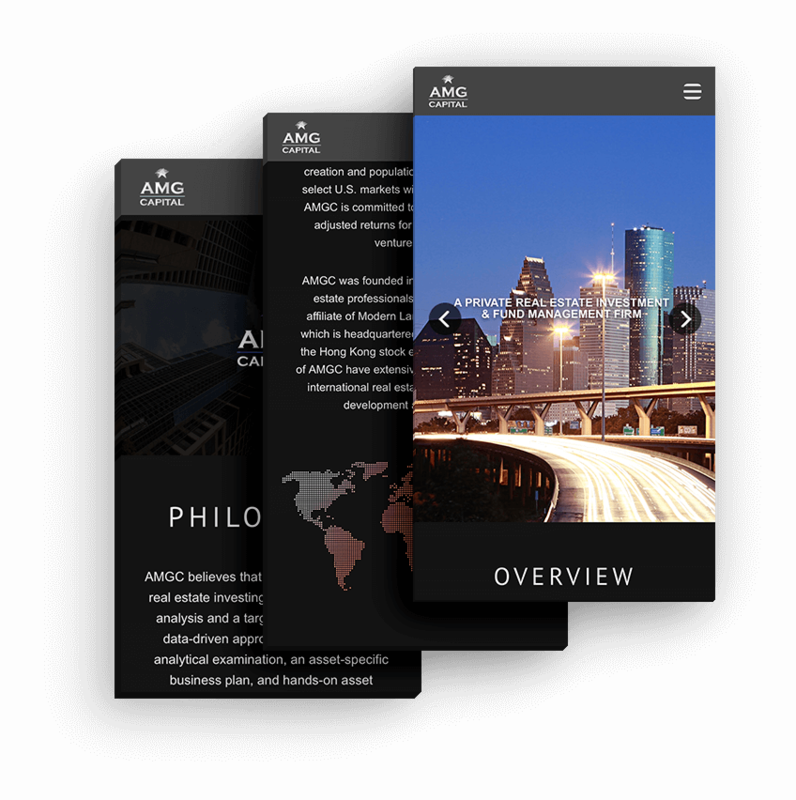 First impression is king, so we built a responsive solution to showcase AMG Capital's offerings, their team and their expertise. We also made sure that it was immediately clear that the company is based in Houston, TX, which means that their international clients instantly know they are in the right place. Of course, we are well aware that the main purpose of a website, and the web design as part of it, is to help move visitors down the marketing funnel so that they become your clients, which is why we ensured all website visitors can easily contact AMG Capital, whether they are browsing the website from a desktop or a mobile device. AMG Capital is a private Texas based real estate investment and fund management company that manages to be successful in an overcrowded industry, even in the most economically challenging times. The key to their success is their ability to create and sustain mutually beneficial partnerships with top developers, thus offering forward real estate development and repositioning investment strategies to their clients - strategies that work. To do that, they continuously perform well-targeted analysis and read the numbers in a value-oriented manner. AMG Capital has built their business on discipline, experience and identifying and taking opportunities quickly and efficiently.